Want to watch Syracuse basketball online? Learn how to watch the Syracuse Orange game online, without needing a cable subscription. Read our guide! Syracuse Orange Men’s basketball is bringing the heat to the NCAA with a fiery new offense. This record-breaking team is coming to shatter the competition this 2018. Fortunately, we’ve got all the information you need to watch Syracuse basketball, so you can find out for yourself. ESPN and ESPN2 are going to take over the Syracuse schedule this upcoming season, so make sure to include those channels in your must-haves. It wouldn’t hurt to add ESPNU to that list, either. Some of you like your details a little more . . . detail-y. Don’t worry, we’ve broken down our choices into bite-sized recommendations so you decide which service best fits your needs. Hulu with Live TV is the go-to service for game night, date night, or be-alone-by-yourself-eating-ice-cream . . . night. Whatever you’re doing, you can check out Hulu Live’s 7-day free trial and plan a fun night of your own. Hulu Live sets the standard for streaming prices with a cost of $40 a month. 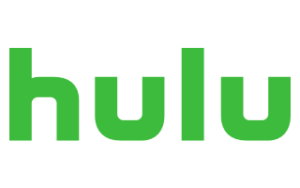 For long-term Hulu on-demand users that might seem like a lot, but considering you’ll be upgrading to 50+ channels of live TV in addition to the on-demand library you already know and love—we think you’ll be pleased. Let’s wipe away the tears of joy and get to the details that can make or break this service. What is wrong with Hulu Live? Honestly, the answer is not all that much. Really, the biggest thing we pick on is Hulu Live’s low DVR storage space (50 hours). If you want more than 50 hours of DVR storage, you’ll just have to pay an extra $15 a month. That’ll get you 200 hours. We don’t know what you’ll be using all that extra space for, but it better be good to be worth the price. What we like: Best DVR. Period. YouTube TV is for the perfect or imperfect planner. Whether or not you’re prone to losing track of time or scheduling your day by the minute, YouTube TV’s unlimited DVR and full channel guide can help on both fronts. YouTube TV comes with a bow and a price tag of $40 a month. It’s also got one of the largest live channel selections on the list with 73 options to choose from. On top of that, YouTube TV has the best DVR on this list. It has unlimited storage and a nine-month expiration date, so it can definitely handle all the college basketball you want. Yeah, that’s right—all of it. The success of the Syracuse legacy all comes down to one thing: consistency. And unfortunately, while YouTube TV offers consistently good quality, it’s not consistent in its availability nationwide. That’s why we couldn’t rank YouTube TV first. YouTube’s local channel availability is the second highest in the nation, but still considerably lower than Hulu Live’s by more than 200 channels. It’s only a small dent in the service’s many good qualities, but it makes a difference for those who don’t have access to it. DIRECTV NOW is for the fan that doesn’t mind working out a few kinks in the system as long as they still get what they want—especially if it comes with a 7-day free trial. DIRECTV is in the streaming game with DIRECTV NOW. Its standard package comes in at $40 a month just like the other options and with it comes all the tons of channels DIRECTV is known for. In fact, DIRECTV NOW gets you the most amount of channels for the lowest price of any streaming service. Plus, there are no long contracts or price hikes to worry about like you would with its parent company. Unfortunately, DIRECTV NOW does have some issues it has to work out. For one, its DVR is currently in beta, so there are bound to be some issues to sort out. But the biggest issue is that DIRECTV NOW’s DVR only comes with 20 hours of storage. That’s an eye-widening amount, especially since we thought Hulu Live offered small potatoes. So if DVR is all that matters to you, you’ll be better off picking infinity with YouTube TV over DIRECTV NOW’s twenty hours. We’re talking basketball here—biggest number always wins. The boys are back in town and this time they’re bringing wins. Don’t miss any clutch jump shots or sick slam dunks this season of NCAA basketball.